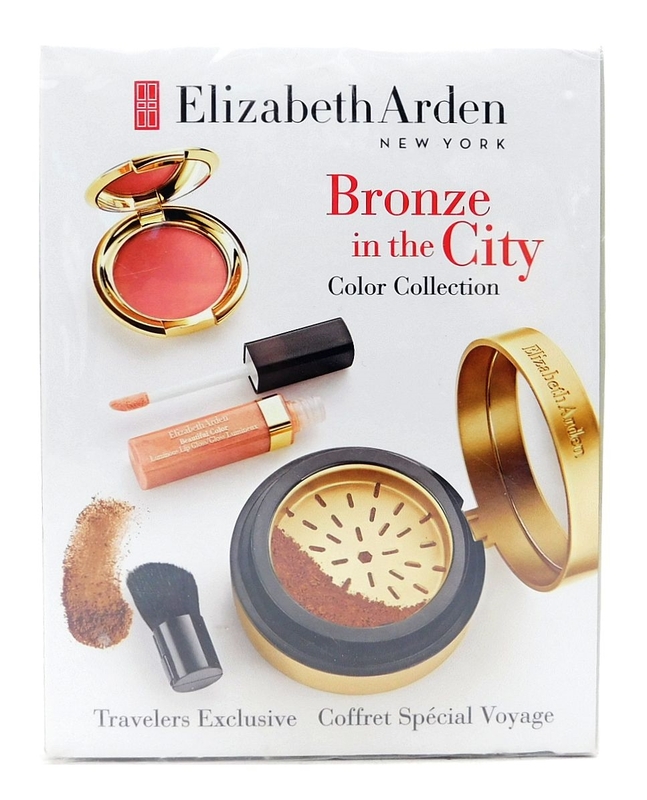 Elizabeth Arden Bronze in the City Color Collection: Pure Finish Mineral Bronzing Powder Medium .27 Oz., Kabuki Style Brush, Ceramide Cream Blush Nectar .09 Oz., Beautiful Color Luminous Lip Gloss Precious Petal .13 Fl Oz. Elizabeth Arden Good Morning Eye Treatment .33 Oz Elizabeth Arden PREVAGE Hydrating Fluid 1.7 Oz Elizabeth Arden 2-in-1 Cleanser All Skin Types 5 Fl Oz. Elizabeth Arden Intervene Makeup SPF15 Soft Cognac 11 1 Fl Oz. Elizabeth Arden PREVAGE Anti-Aging Eye Serum Set: Intensive Repair Daily Serum 5ml, Eye Advanced Serum 15ml & Moisture Lotion 15ml Elizabeth Arden Color Collection:Eyes, Lips & Cheeks Elizabeth Arden PREVAGE Intensive Anti-Aging Moisture Cream SPF 30 1.7 Oz Elizabeth Arden PREVAGE Anti-Aging Triple Defense Shield Sunscreen SPF50 1.7 Fl Oz.